David Leventhal established Lion Valley Vineyards in 1994. His six acre vineyard was located not far from Hillsboro, with terrific Mount Hood views. He was a disciple of the Burgundian method of making Pinot Noir. This includes very dense planting (over 4000 vines per acre) and low vine yields. He honed his winemaking skills during the two years he spent working in Burgundy. Leventhal built an attractive gravity-fed winery, tasting room, gift shop, and personal residence. His first Pinot Noir vintage was 1994. The former address of Lion Valley Vineyards was 35040 SW Unger Road, Cornelius, OR 97113. 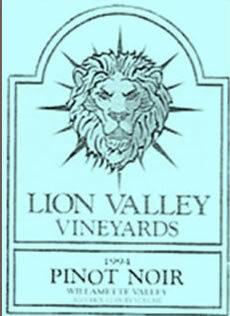 Lion Valley Vineyards was purchased by Gary Andrus and his Gypsy Dancer label in 2003.